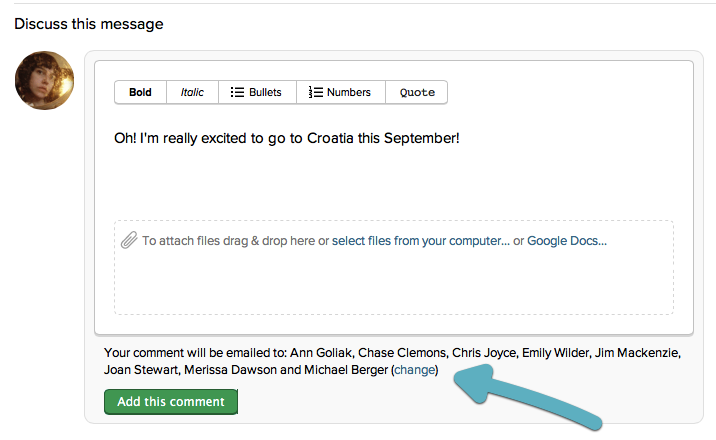 Basecamp lets your team know when something is posted to a project. Here's how! Who gets a notification: When you create a new discussion, you decide who will receive an email notification about it. ... and then selecting or deselecting folks. Companies and groups are super helpful for this! Check who was notified about a comment on the Catch Up page. Opt out of notifications: Reduce the barrage of notification emails by opting out. 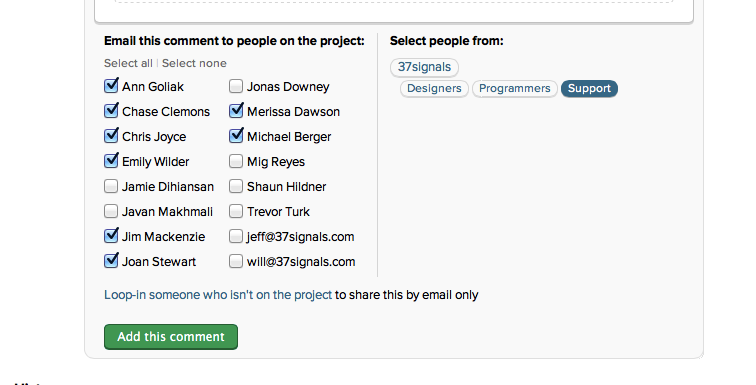 Turn off an entire project on your Basecamp Settings page. Opt out of specific messages using the link within the notification email.